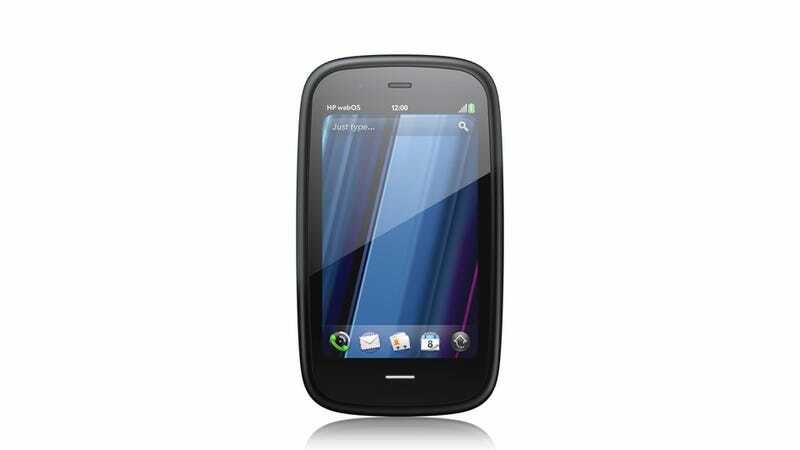 Palm/HP is targeting the Pre 3 as a "business"-class phone, even though it's got the same body shape as the previous Pres. It has their largest keyboard, a larger 3.6-inch 480x800 display, and a 5-megapixel camera. It will be 802.11b/g/n, HSPA+ and EVDO world phone, 8GB or 16GB storage, memory (same as) Pre 2, and a processor that runs at 1.4GHz. So it's definitely a larger phone for people who think the HP Veer is too small. When you put the Pre 3 on a Touchstone wireless charger dock, it goes into exhibition mode, which shows you a clock, a calendar, or whatever else you want to display. Big thanks to Borrow Lenses for the camera gear. For professionals who require powerful mobile productivity with an eye on personal connectivity, HP today announced the versatile HP Pre3 smartphone running HP webOS. With a large 3.58-inch touchscreen, fast 1.4-GHz processor and a full slide-out keyboard, Pre3 is a multitasking professional workhorse that's perfectly balanced for speed and serious fun. Pre3 is one of the products HP announced today to introduce a unique experience for customers around connected mobility. It's one of the building blocks in HP's vision to seamlessly connect all your worlds through the power of HP webOS. "In the suite of webOS products we're introducing today, Pre3 is our premier phone, designed for the speed of business," said Jon Rubinstein, senior vice president and general manager, Palm Global Business Unit, HP. "It enables professionals to accomplish more of their important workday tasks while easily keeping their fingers on the pulse of their personal lives." Pre3 is the ideal smartphone for multitasking professionals who rely on advanced messaging and voice capabilities to stay connected with all aspects of their busy lives. (1) With a slim design and high-capacity battery,(2) it is comfortable to carry and use all day. The phone's fast performance and large, high-resolution display accentuate the unique webOS experience for both professional and personal use. More ways to connect – With the HP Synergy feature, you just have to sign in to your Facebook®, Google, Microsoft® Exchange, LinkedIn and Yahoo!® accounts. Your information – email, contacts, calendars – automatically populates your phone and stays updated so it's always at your fingertips. (3) Integrated messaging conveniently combines all your text messages, picture messages and IM conversations with one person into a single view, and you can connect through SMS, MMS, Google Talk, AIM and Yahoo! Messenger. Just Type – Start an email, create a message, update your status and search your favorite websites – all before you've even opened an app. Because webOS works the way you do, whenever you want to do something on your Pre3 – whether it's emailing, texting, searching or almost anything – just type. Quickoffice Connect Mobile Suite – HP is working with Quickoffice to include the Quickoffice Connect Mobile Suite, which offers support for viewing Microsoft Office Word and Excel and provides integration with a variety of services, including Google Docs and Box.net. Apps to keep you connected – The webOS App Catalog features thousands of apps for fast and easy access to all the things you need to keep your day moving, such as weather, news, hotel and restaurant reviews and reservations, flight info and games. (8) Mobile social networking apps such as Facebook and Twitter allow you to stay connected throughout your hectic day and update your status and upload pictures in real time. Pre3 is one of three webOS products announced today (see separate announcements for HP Veer and HP TouchPad). Each product plays a distinct role in the growing webOS family, designed to meet the varying needs of customers in a rapidly evolving mobile landscape. The HP Pre3 smartphone is scheduled to be available in the summer. Exact pricing and availability will be announced at a later date. More information about HP Pre3 is available at www.palm.com/Pre3.